Does that headline make you proud to be British (yes I know Gordon Murray is originally from South Africa, but his company is another UK based business leading the world in car innovation). The world-leading British design and engineering company Gordon Murray Design has unveiled the latest version of its ground breaking iStream® automotive manufacturing system which revolutionises the way cars are manufactured. 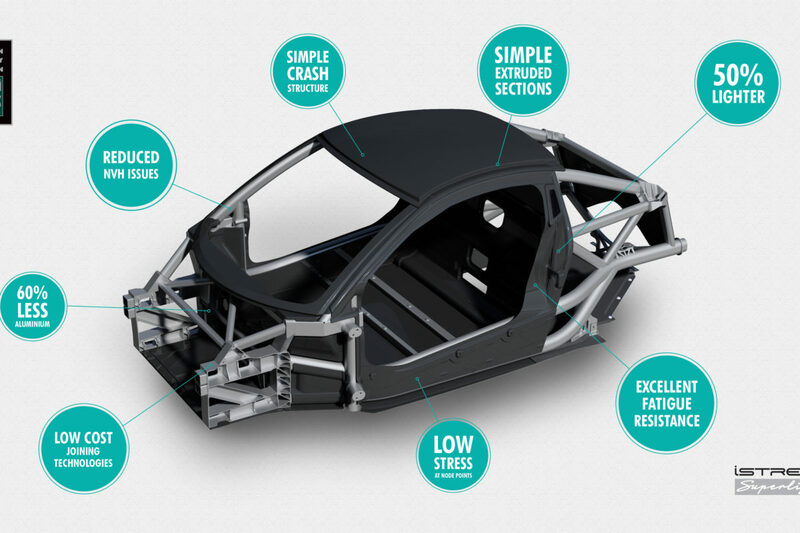 Combining a high-strength aluminium frame with advanced carbon fibre composite panels, iStream Superlight® brings Formula One-derived construction and technologies to mainstream car production. 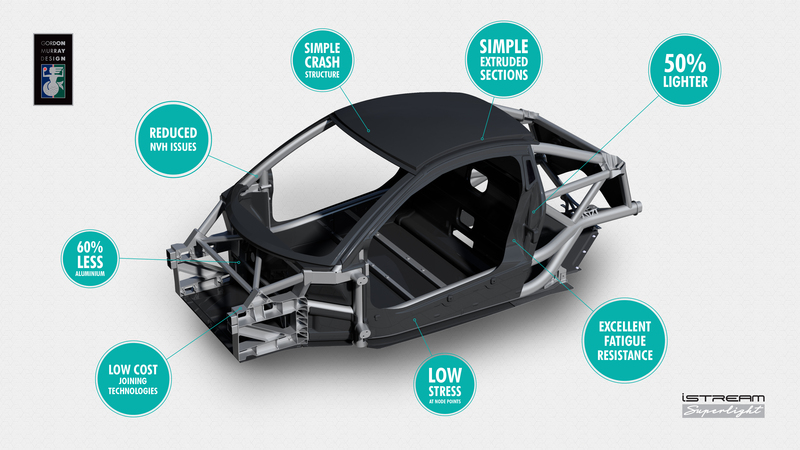 The new process promises to usher in a new era of vehicle performance with the lightweight structure offering greater safety, lower emissions, improved handling, and enhanced durability. The new innovation not only delivers up to 50% weight reduction compared with a standard stamped-metal body, it also offers new levels of platform flexibility. Due to the modular nature of the iStream Superlight chassis, the core platform can be adapted to suit every segment of vehicle from sports cars and ultra-efficient electric city cars to SUVs and light commercial vehicles. This adaptable formula ensures cost-effectiveness for manufacturers by avoiding the need for high capital investment and individual chassis designs for each model variant. 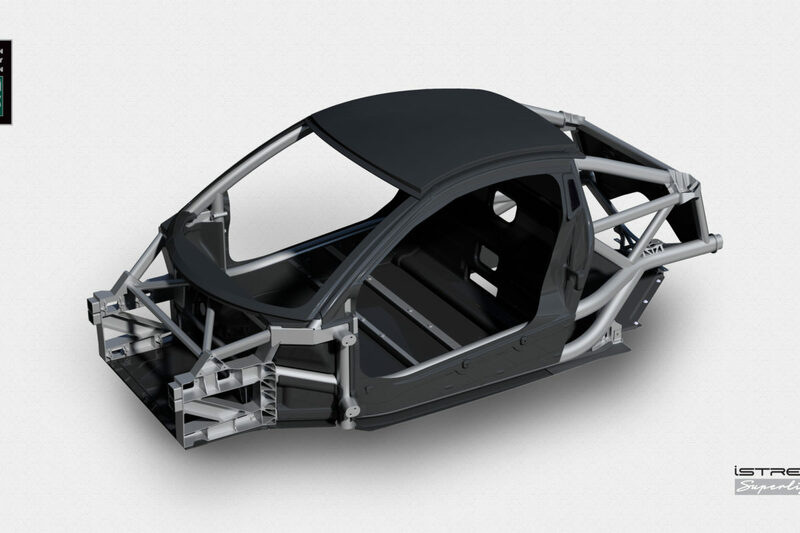 ‘iStream Superlight’ employs a simple high-strength aluminium thin-wall tubular frame and honeycomb recycled carbon-composite chassis panels in place of the stamped metal used in most volume car production. Its lightweight design delivers a body-in-white structure delivering up to 50% of the weight of stamped metal, while achieving new levels of rigidity, durability and platform flexibility. Gordon Murray Design has also revealed its new seat innovation – the iStream lightweight seat, which uses the same innovative materials, techniques and technologies as the iStream chassis. This newly-developed seat incorporates glass or recycled carbon-fibre composite and a tubular frame to achieve dramatic weight savings. 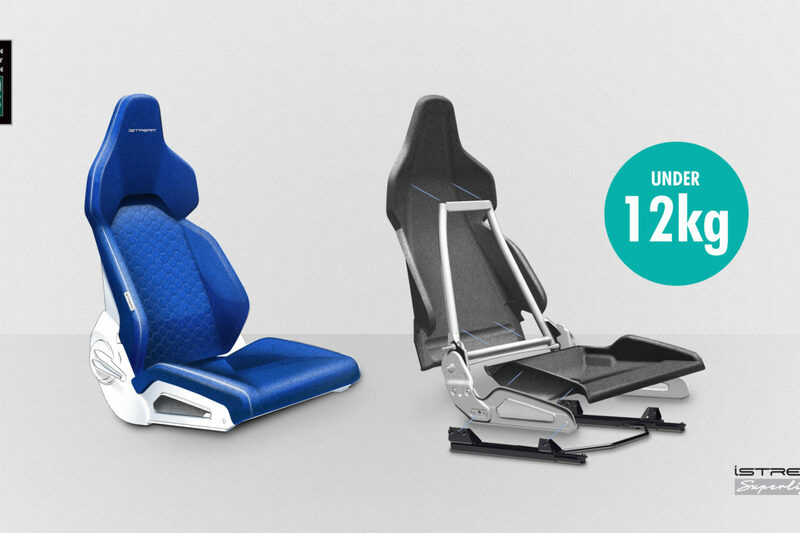 Compared to a typical vehicle seat, the iStream lightweight seat achieves a weight reduction of up to 30%. 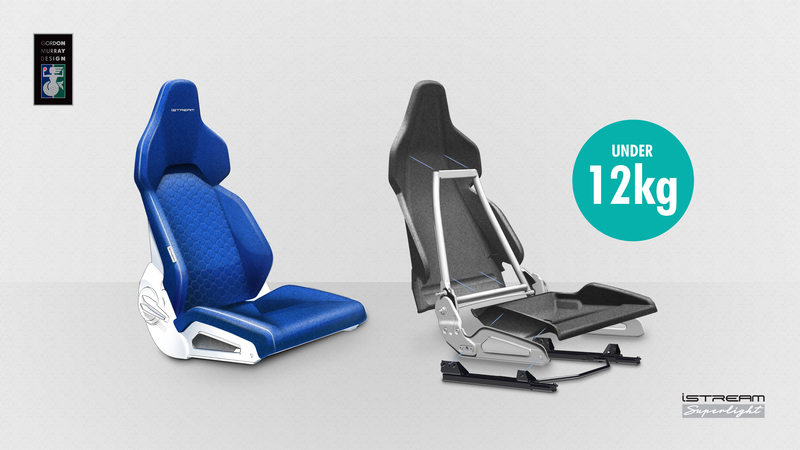 The iStream lightweight seat can be designed to suit all types of passenger vehicle. While the design is aimed at weight saving in passenger cars, the new seat has the potential to benefit other passenger transportation sectors. From aerospace to rail, the patented design delivers new levels of lightweight and low tooling costs. During Gordon Murray Design’s One Formula event in November 2017, which celebrated Gordon Murray’s 50 years of car design, a new company was announced – Gordon Murray Automotive (GMA) – alongside the official opening of the GMA premises at Dunsfold in Surrey. GMA also announced a new licensing model to complement its existing iStream technology licensing programme.  The new licencing approach focuses on licensing automotive platforms alongside existing iStream licences. The T.43 sports car is the first platform and product designed for licence or sale. The T.43 sports car utilises iStream Superlight and is designed to be an everyday usable coupe with not only exceptional performance capabilities, but also class leading ergonomics, visibility, and cargo capacity. The T.43 introduces new levels of lightweight, torsional stiffness, and durability. The new iStream Superlight structure is the output of a collaborative research project part-funded by the Innovate UK framework. Led by Gordon Murray Design, the consortium includes Bentley Motor Company, Brunel University London, Constellium, and Innoval Technology. The iStream seat also benefitted from collaborative research with Gordon Murray and Formaplex Limited pooling resources for the duration of a 12-month study.